Photo: Back row (L to R): Chief Registrar John Alilee (Vanuatu); Chief Justice Carl Ingram (Marshall Islands); Chief Justice Charles Sweeney (Tuvalu); Chief Justice Owen Paulsen (Tonga); Chief Justice Arthur Ngiraklsong (Palau); Justice Christine Grice (Cook Islands) and Chief Justice Patrick Savage (Niue). Front row (L to R): Chief Justice Sir John Muria (Kiribati); Chief Justice Patu Sapolu (Samoa); Chief Justice Sir Albert Palmer (Solomon Islands); Chief Justice Dame Sian Elias (Tokelau); Chief Justice Sir Salamo Injia (Papua New Guinea); Chief Justice Dennis Yamase (Federated States of Micronesia). The Chief Justice, His Honour Patu Tiava’asu’e Falefatu Sapolu, is hosting a high-level regional forum of Chief Justices in Apia this week, from 3-5 April. 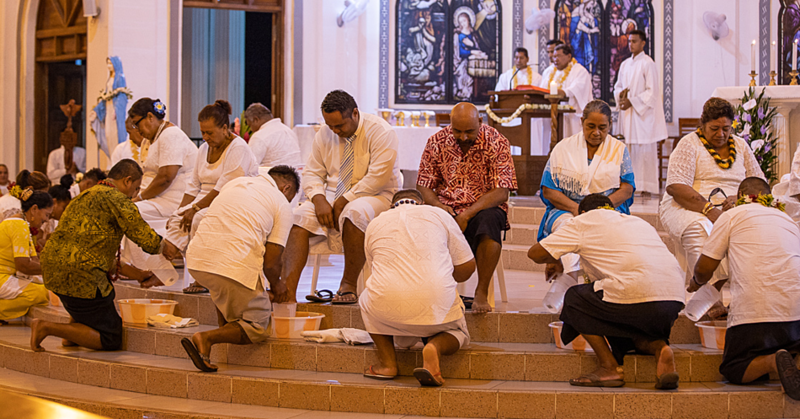 The Forum is attended by 13 Chief Justices or their representatives from Cook Islands, Federated States of Micronesia, Kiribati, Marshall Islands, Niue, Palau, Papua New Guinea, Solomon Islands, Tonga, Tokelau, Tuvalu, Vanuatu and Samoa. 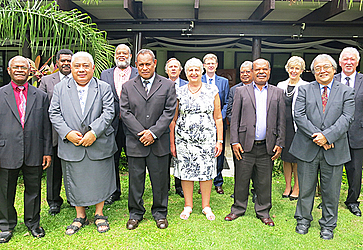 The Chief Justices’ Leadership Forum is promoting regional leadership as part of the New Zealand Ministry of Foreign Affairs and Trade funded Pacific Judicial Strengthening Initiative (June 2016-July 2021). In their meeting this week, the Chief Justices of the region are discussing a range of topical issues to promote improvements to justice. These include Alternative Dispute Resolution and mediation initiatives, Judicial Independence and Separation of powers, Human Rights, Gender and Family Violence and court annual reporting. The Chief Justices will also review the planning of activities to be conducted over the next 24 months. They will provide direction and feedback on the implementation of these activities and use the forum as an opportunity to continue dialogue on judicial development across the region. 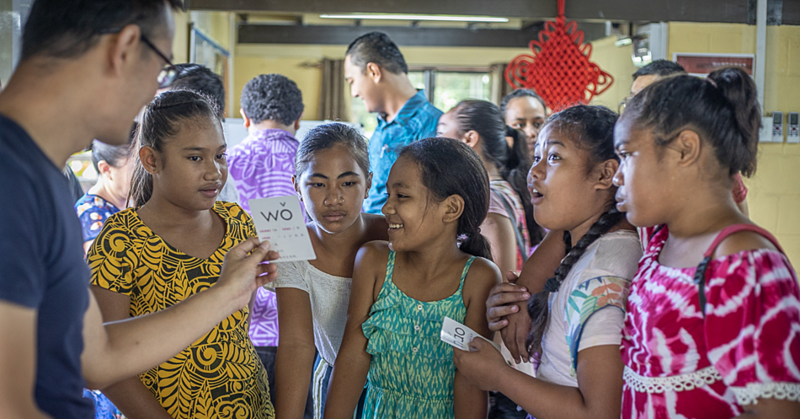 The goal of Pacific Judicial Strengthening Initiative is to build fairer societies by supporting the courts in the Pacific region to develop more accessible, just, efficient and responsive justice services. 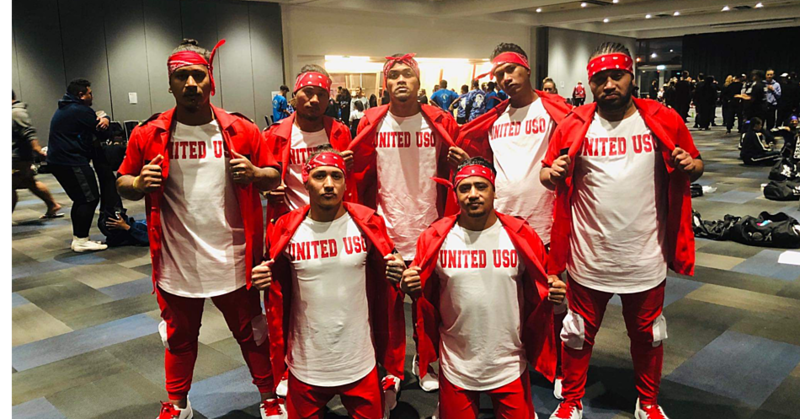 The Initiative operates in 14 countries, namely: Cook Islands, Federated States of Micronesia, Kiribati, Marshall Islands, Nauru, Niue, Palau, Papua New Guinea, Samoa, Solomon Islands, Tokelau, Tonga, Tuvalu and Vanuatu.